This beat-the-heat summer appetizer from Martha's Vineyard Chef Chris Fischer was nick-named "Bugs Bunny Carrots" by the editors of Bon Appetit Magazine, as in "That's All Folks!" 1. Wash and scrub 2 bunches of raw rainbow carrots. Leave tops and bottoms on. 2. 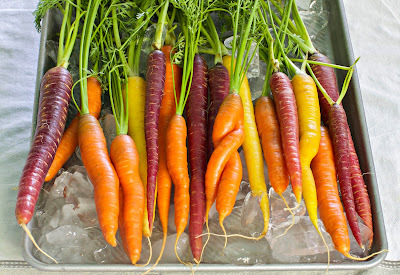 Soak carrots in the fridge in a large pot of salted water for about 1 hour. 3. 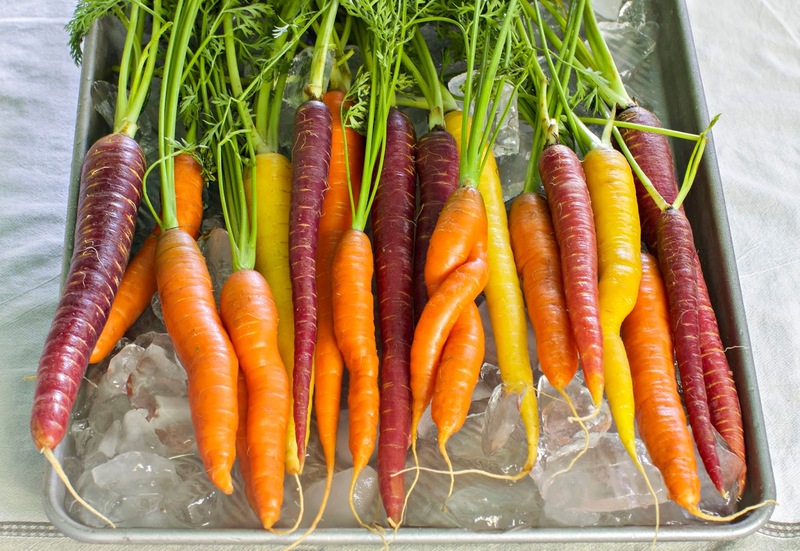 Place carrots over ice chips in a large tray and serve.